[NASHVILLE] – Electric co-op leaders, including one from Tennessee, appeared today on RFD-TV to discuss the important role that co-ops play in rural communities. During an interview on the network’s Market Day Report, Mike Partin, CEO of Sequachee Valley Electric Cooperative in South Pittsburg, Tenn., discussed the role that electric co-ops can play in rural broadband expansion. Partin also discussed the important role that broadband has in economic development, a topic that is very important to rural communities and electric co-ops. RFD-TV is a national network that features programming devoted to rural issues, concerns and interests. The network can be found on DirecTV, Dish Network and most cable TV companies. 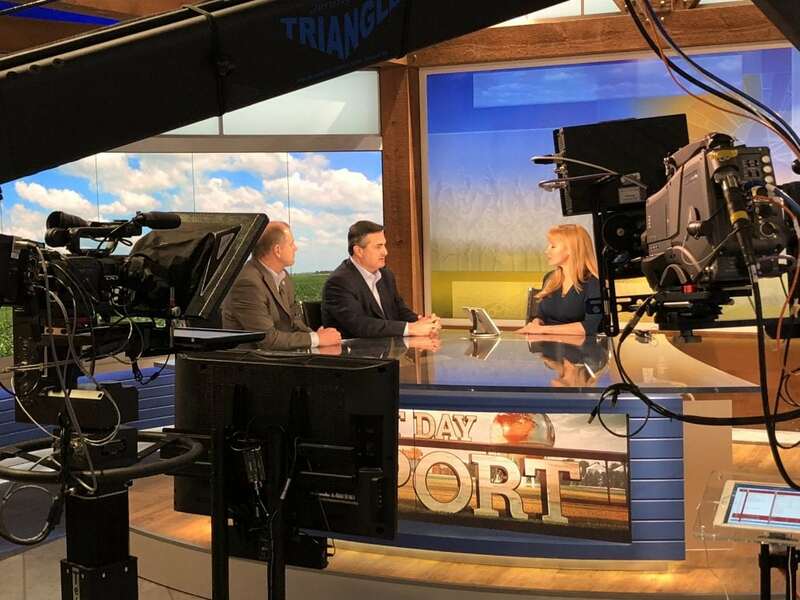 Co-op leaders from across the country are in Nashville this week for the National Rural Electric Cooperative Association’s annual meeting, and Monday’s segment was filmed at the network’s studio in Nashville.